Danny Welbeck scored the winner on his return to Old Trafford to give Arsenal a 2-1 victory over Manchester United and book their place in the FA Cup semi-finals. The United academy graduate was deemed surplus to requirements last summer by Louis van Gaal but came back to haunt his former side by netting the decisive goal in a captivating cup clash. Nacho Monreal had given the Gunners the lead in the 25th minute but United quickly levelled thanks to Wayne Rooney’s header. Welbeck restored Arsenal's advantage on the hour mark when he capitalised on Antonio Valencia's underhit backpass and beat David de Gea. United's misery was compounded when Angel Di Maria was sent off for pulling referee Michael Oliver's shirt in frustration at being booked for diving. The Gunners will now meet either Bradford or Reading in the last four at Wembley. United, meanwhile, look almost certain to finish without a trophy for the second season in a row. The hosts were forced into one change from their win over Newcastle as the suspended Jonny Evans was replaced by Luke Shaw. 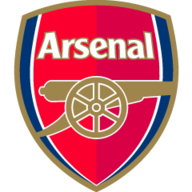 Arsenal made five changes to their line-up, including starting Welbeck ahead of Olivier Giroud, and created the first opening when Alexis Sanchez saw a shot blocked in the box. Hector Bellerin was booked in just the fourth minute for chopping down Ashley Young and it was the winger who fired United’s best early opportunity over the bar after being teed-up by Marouane Fellaini – again playing in support of Rooney. Oxlade-Chamberlain then wasted a decent opening at the other end before marking his return to the starting XI by creating the opening goal. The England international showed good footwork to avoid a few tackles on the edge of the box and then pass through for Monreal, who kept his cool to finish past De Gea. The lead didn’t last long, though, as United replied almost instantly, with Di Maria whipping a delightful cross into the area for Rooney to head home. With the wind in their sails, United finished the first half strongly and Wojciech Szczesny pulled off a good save to keep out a shot from Di Maria. 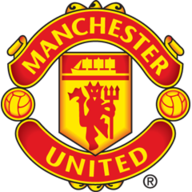 United made two changes at half-time, introducing Phil Jones and Michael Carrick for Shaw and Ander Herrera, while Oxlade-Chamberlain had to hobble off five minutes into the second half after appearing to injure his hamstring, with Aaron Ramsey coming on. There were half chances for both teams after the break, with De Gea saving a deflected Sanchez shot and Di Maria shooting wide, before Valencia's blunder allowed Welbeck to put Arsenal ahead. The former United forward seized upon an underhit backpass from Valencia and rounded De Gea before tapping into an empty net. There were no muted celebrations from Welbeck but United were almost level not long afterwards as Chris Smalling fired over the bar from close range. De Gea then pulled off a brilliant stop to keep out Santi Cazorla’s volley but United’s hopes were dented when Di Maria was booked for diving and then sent off for tugging at the referee's shirt. Adnan Januzaj was also booked for diving as United pushed for a late equaliser. The hosts piled on the pressure in the closing stages but couldn’t fashion any clear chances and only another excellent save from De Gea prevented Sanchez making it 3-1.